Moziah Bridges is one of the most amazing kids I have ever read about. Currently, he is the CEO and the founder of Mo’s Bows and he is just 12 years old. This little entrepreneur started his bow ties selling the business when he was just 9 when he came up with the business idea. He found out that there were no places, where cool and interesting bow ties could be bought. Nobody was selling such and this problem actually was seen as an opportunity by Moziah. Why? Because he had a solution… He goes his grandma involved in all this and they both started manufacturing bow ties from useless materials. 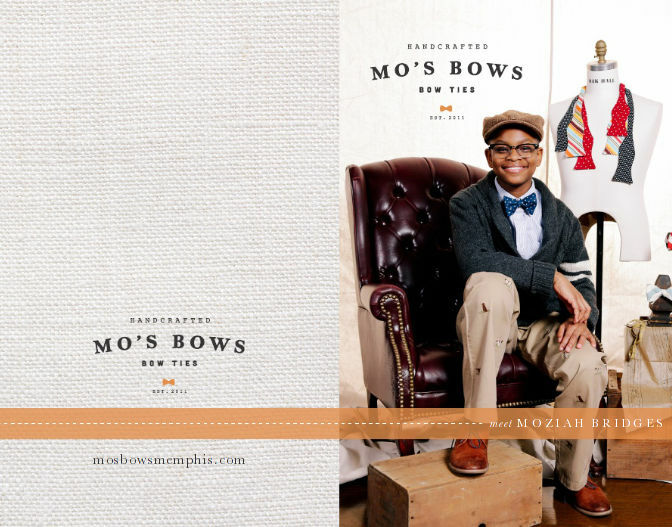 Mo’s Bows was started in Memphis, back in 2011. The company has reached $150 000 in sales and it’s currently growing more. His business became viral, because of the curious story it has. Moziah’s story started spreading around like a plague, from the popular show ‘Shark Tank’ to many big TV shows and sites. His company has even employed 5 people, two of them are his grandmother (she is around 80) and his mother. “I like to wear bow ties because they make me look good and feel good.” One of the young entrepreneur’s main objectives is to make the world a better and more fun place. Moziah Bridges has just started his business career. Even though he is just 12, he is already a CEO of a successful business. The kid is also a philanthropist at this early age. As he shared on his blog, in the summer of 2014 he donated $1600 to Glenview Summer Camp, giving 10 kids the opportunity to go and enjoy the camp. I wish him luck and I hope I write many more interesting stories about him in the future here. Did you like the post? Sharing is caring, you know… I am almost sure that you will enjoy many of our other posts, you could give one of them a shot, we prepared a list of them below.